"Don't Get Fancy just get dancey," proclaims international pop superstar P!nk in her new single, and BOY do I ever. The Max Martin/Shellback-produced "Raise Your Glass" is pure, pop fantasy through and through. P!nk can do no wrong in my book (except maybe with "Feel Good Time"). Whether she's doing a raw and emotional ballad (while suspended in the air) or tearing it up at the dance club, nearly EVERY song P!nk sings is hitworthy. I think it's CRIMINAL that her chart history in the states hasn't been better than it has been. Europe has always been ahead of the curve when it comes to pop music, and they've been crazy about her for a lot longer. In the video for P!nk's eleventh Top 10 hit (the song climbed to the #10 spot) P!nk celebrates the "dirty little freaks," AKA anyone who strays from "the norm." This includes geeks, gays, and other societal "outcasts," all living it up and embracing their differences. I LOVE this video. As cute and fun as this video is, it's hardly original. P!nk isn't the first pop star in recent weeks to release a positive, uplifting and inspirational clip in the wake of the recent crop of gay teen suicides and wide spread bullying gripping our country. Most recently Katy Perry's "Firework" video spread a similar message and next...pop superstar Ke$ha's video for new single "We R Who We R" will continue spreading the love. Now, originality aside, it is loads of fun. Seeing P!nk play dress up is always AMAZING. "Stupid Girls" anyone? "Raise Your Glass," is P!nk's highest charting song since her 2008 hit "So What," not to mention the song's chart success makes P!nk third in line (behind Rihanna and Beyoncé) in terms of female artists with the most Top 10 hits since 2000. Looks like she is getting some recognition after all. The song is pulled from the artist's upcoming Greatest Hits...So Far!!! compilation, due November 16th on LaFace Records. 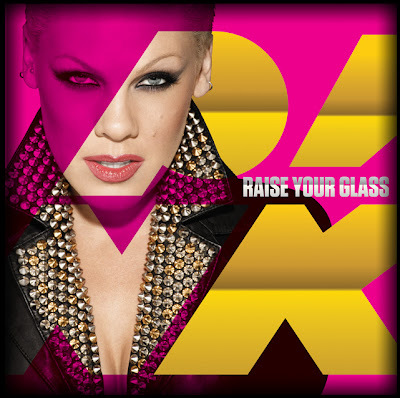 "Raise Your Glass" is one of four new songs included in the collection. So, if you're "too school for cool," why don't you pick up the single and pre-order the album on iTunes now. The single will be released in the UK on November 8th. Now go get dancey! OK. So excited about this! The news came today that the FABULOUS Adele is coming BACK with a new album on January 24th in the UK and on February 22nd in the U.S. via XL Recordings/Columbia Records! 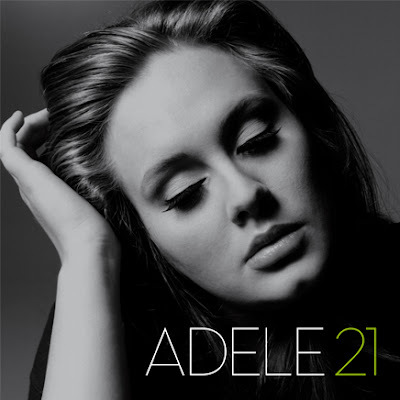 Adele's sophomore effort called 21 is the follow up to her 2X Platinum (Gold in the U.S.) debut 19 and will be preceded by the single, "Rolling In The Deep." The single, a "dark bluesy gospel disco tune," was written and produced by Adele and Paul Epworth (Bloc Party, Florence + The Machine), and is set to drop on January 16th in the UK. Recorded mostly in Malibu, Adele worked with the amazing Rick Rubin (Johnny Cash, Jay Z, Red Hot Chilli Peppers) as well as with Epworth back in London. Adele sought inspirations from artists previously unfamiliar to her (Lady Antebellum, Allison Krauss, Yvonne Fair, Neko Case)as well as some favorites (Mary J. Blige, Kanye West, Alanis Morissette, Tom Waits). Says Adele of her inspirations, "There’s something in every single one of these artists that has really really inspired 21." From the sound of it, Adele has grown wiser and matured with age, becoming "more patient, more honest, more forgiving and more aware of [her] own flaws." Considering how young she was when she recorded her debut, and all that she's been through between then and now...how could she not grow? According to the (now) 22 year old Brit, "I'm very excited, nervous, eager, anxious but chuffed to announce my new album!" Check out her latest blog post for Adele's reasons behind the album title and make sure you check out her revamped website for the latest news on her forthcoming album and single. So happy this talented lady is back. Oh - and make sure you take a look at her STUNNING new album artwork up top. Beautiful!